Hope Hall School is requesting gift in-kind donations for our Annual Walk for Hope Fundraiser to be held on Thursday, May 24, 2018 at Hope Hall from 11am-2:45pm. All Walk for Hope guests must sign up in advance by Friday, May 11th to attend using this form. Gift in-kind donations will be used as prizes for our top student and faculty/staff fundraisers. Our Hope Hall Community works very hard each year to help us reach our Walk for Hope fundraising goal, which is $30,000 this year. 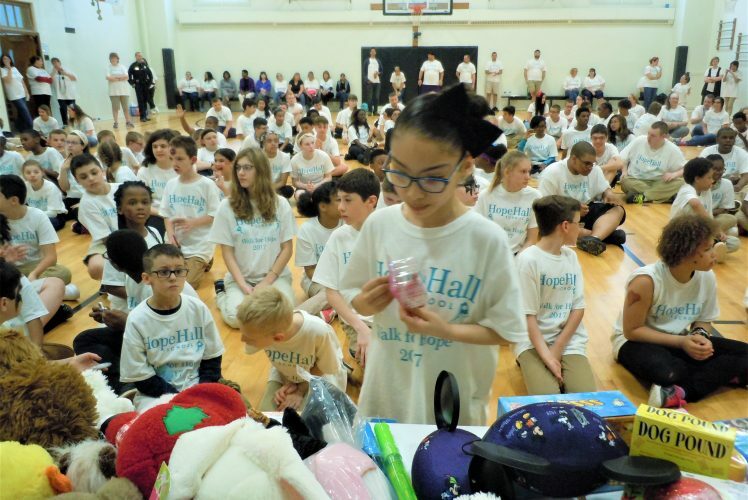 All of the dollars raised through our Annual Walk for Hope Fundraiser will help support our $2.7 million dollar Operating Budget, which is raised solely from individuals, foundations, and businesses, such as your own! Please complete the 2018 Walk for Hope Sponsorship/Gift In-Kind Form and return your completed form and donated gifts in-kind by Friday, May 18th to Ms. Pierleoni at the address below.